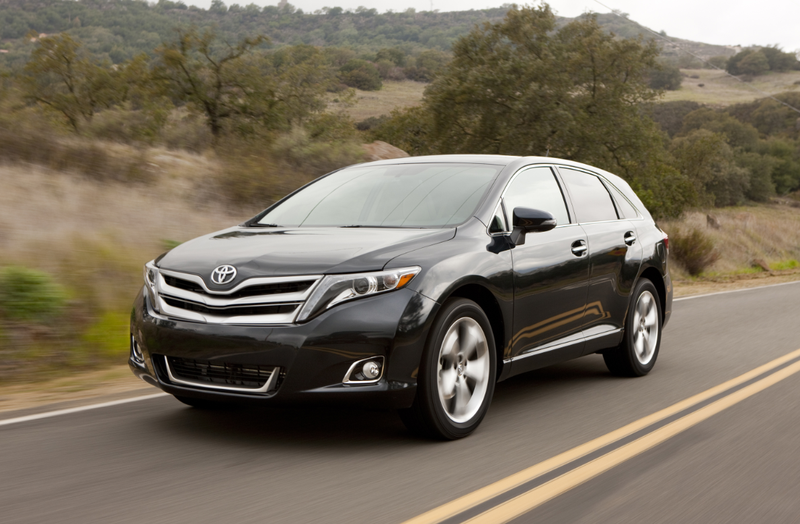 The Toyota Venza is a bloated Camry. What do you need to know before you buy a Toyota Venza? Don’t worry, we’ll tell you everything right here in our Buyer’s Guide. Toyota is all about providing no-frills, reliable A-to-B type transportation to the masses. The Toyota ownership experience involves taking your car in for routine oil changes and tire rotations, and never having to worry about anything going wrong. Because, well, Toyotas are bomb-proof. The Venza was Toyota’s answer to the CUV craze, but it’s not their future as the car has been discontinued and remains on the market only so long as they still have models to sell. People love their Corollas, but they want a bit more space and comfort, and they like sitting high in their seats. It’s a ho-hum car, but Toyota buyers are looking for a drama-free experience and with the car on the way out you can try and get a deal. The Camry-based Venza hasn’t changed much since it debuted for the 2009 model year. It still has electric power steering, MacPherson struts at each corner, and the same engine options. Those engine options are the 181 horsepower 2.7-liter I4 and the 3.5-liter 268 HP V6. A six-speed automatic is still the only transmission available. 2012 brought the LE and XLE trims, giving buyers a total of three trim levels to choose from. 2013 yielded a styling refresh with new lights, new upper and lower grilles, new wheels, and revised option packages. For 2015, the Venza gets a backup camera as standard, the audio system gets a tweak, and all V6 models get a towing prep package so they can tow 3,500 pounds up Davis Dam in 100 Fahrenheit weather. The Venza comes in three trim levels: LE, XLE, and Limited. The LE already comes well spec’d from the factory. You get projector beam headlights, 19-inch aluminum wheels, dual zone automatic climate control, 6.1-inch touchscreen for in-car communication system, power seats, and tons more.